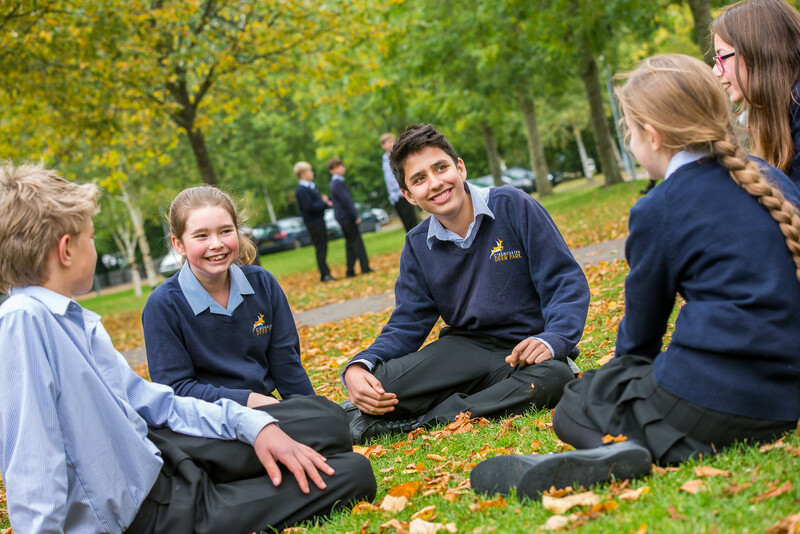 We look forward to welcoming prospective pupils and their parents to Cirencester Deer Park School. 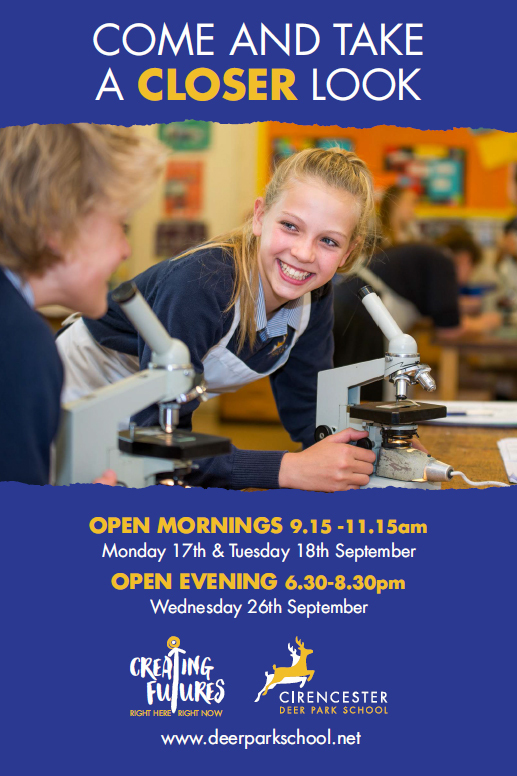 All prospective pupils and their parents, regardless of year, have the opportunity to look around our school and meet with pupils and teachers at our September 2018 Open Mornings (Monday 17 and Tuesday 18 September, 9.15-11.15am) and Open Evening (Wednesday 26 September, 6.30-8.30pm). Booking is not required for these September events. In June and July we hold Open Mornings specifically for pupils in Year 5. Dates and details of how to book places for these bespoke events, which will include a taster lesson, will be published in our Latest News closer to the time.